New York University Law School, J.D. Jeff Livingston focuses on securities litigation, white collar criminal and regulatory investigations, and corporate governance and compliance. He has extensive litigation experience, including over thirty trials, is a former Assistant U.S. Attorney, has served as a board member of a large multinational corporation, was a law firm partner for over twenty years, and recently served almost four years as Senior Vice President and Deputy General Counsel at CA Inc., a major software company. At CA Inc., Jeff played a key role in managing CA's successful compliance with a deferred prosecution agreement it had entered in U.S. v. Computer Associates International, Inc., leading to the dismissal of that case in 2007. His other responsibilities included litigation and internal investigations, as well as the company's financial disclosure and SOX 404 compliance. Jeff served as a member of CA's Senior Leadership Team, as Co-Chair of its Disclosure Operating Committee, and as Co-Chair of its 2005 SOX Operating Committee. Jeff also served for five years as an Assistant U.S. Attorney, Criminal Division, in the Southern District of New York (1977-1982). He was a member of that office's Commodities and Securities Fraud Unit and, among many other cases, prosecuted a major securities fraud case charging manipulative trading in shares listed on the New York Stock Exchange. Jeff speaks fluent Italian and frequently advises and represents Italian clients in U.S. matters and U.S. clients in connection with business and/or litigation in Italy. From 1997-2001, Jeff was a member of the Board of Directors of Telecom Italia S.p.A. and a member of its Committee on Audit and Corporate Governance. He was the lead draftsman of the company's principles of corporate governance and served as chairman of a special committee to evaluate a proposed reorganization of the company. 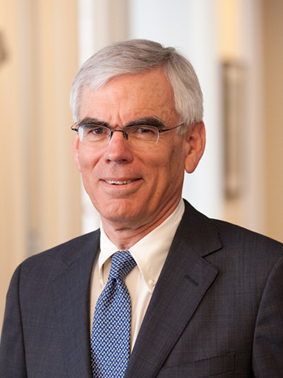 Jeff has conducted trials and arbitrations and has argued numerous appeals and dispositive motions, in securities fraud cases, commercial disputes, and criminal cases. He has defended individuals and companies in regulatory proceedings before the SEC, FINRA, and NYSE; in grand jury investigations; and against formal charges of securities fraud, bank fraud, and other crimes, brought by federal and local authorities. Jeff appears on legal panels and gives lectures concerning securities laws, corporate governance, and white collar criminal matters. Among other presentations, Jeff presented a comprehensive overview and interpretation of the Sarbanes Oxley Act, entitled "Sarbanes Oxley-- Legislative Response to Enron," to the staff of CONSOB, the Italian stock market regulator, and invited guests in Rome, Italy. In the community, Jeff served as Vice Chairman of the Board of the New York League of Conservation Voters, a bi-partisan organization that supports and endorses candidates for State and local offices based on their record and positions on environmental issues, and promotes government initiatives and legislation that support sustainability. Jeff was a major party candidate for the New York State Assembly (1994) and the U.S. Congress (1996). Representing an individual in Libor investigations. Representing individuals in several FINRA investigations. Represented employees of a major financial institution in a municipal securities investigation. Represented a group of French companies and individuals in private Rule 10b-5 action in SDNY, obtaining dismissal on motion. Representing a financial institution in e-discovery matters. Serving as chief compliance officer of a hedge fund. Defended outside directors in class action and derivative suits involving options backdating. Defended a law firm in an arbitration brought by a former partner. Defended an investment bank in institutional investors' suit alleging fraud in a $600 million securities offering. Represented a hedge fund employee in SEC investigation of alleged manipulative securities trading. Represented a distribution company in an SEC investigation into allegations of aiding and abetting a manufacturer/supplier's improper revenue recognition. Represented a mutual fund management company officer in SEC and New York Attorney General investigations concerning market timing. Represented a bank official in Enron investigations. Defended a broker dealer in several securities fraud suits. Defended broker dealers in several FINRA and NYSE arbitrations. Represented an insurance group in contest for control of a corporate affiliate and in a reinsurance dispute. Represented dissident stockholders opposing a bank merger. Represented the owner of security software in a trade secrets dispute. Defended a target of parallel SEC and DOJ investigations of alleged "pump and dump" IPO scheme. Defended a bank holding company CFO in a Department of Justice bank fraud investigation and ten-day jury trial resulting in acquittal on all bank fraud charges. This web site may be considered advertising in some states.